Situated on 60 acres, including a dedicated on-site substation, the former Fairchild Semiconductor chip fabrication facility is being renovated to become a colocation data center delivering 50 MW of critical capacity. Announced in July 2017, the Cirrus Data Services View 78 Campus is under construction. The first phase will support 224,000 sqft and a critical IT load of 32 MW. At full capacity, the campus will expand to 160 MW and over 1 million square feet. DataBank’s Granite Point West Data Center is strategically located in Bluffdale, UT, minutes from downtown Salt Lake City. With a carrier-neutral design, the 95,000 sqft building has over 55,000 sqft of raised-floor space for customer equipment and offers network connectivity to multiple Tier 1 and Tier 2 providers. Diverse substations provide more than 11MW of high-density power, while redundant cooling systems maintain optimal temperatures for data center equipment. he facility has access to more than 8MW of high-density power, and redundant cooling systems maintain optimal temperatures for data center equipment. 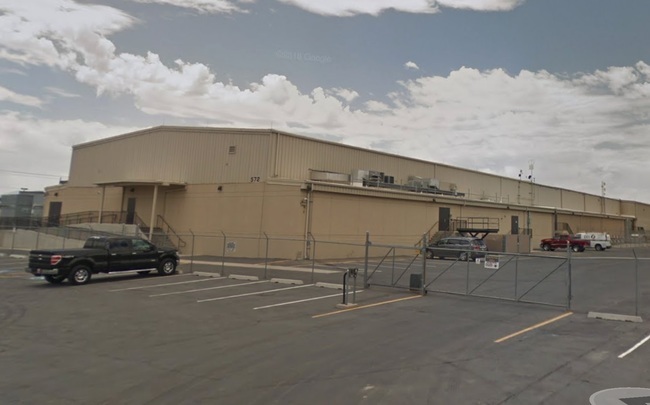 Situated in a highly secure technology park, the facility is protected by a full perimeter fence encompassing the building, parking areas, loading docks, and all customer entrances. Salt Lake City (SLC) is a growing data center market. A young technical work force has encouraged tech companies to set up shop in Utah. The Salt Lake MSA has 1.2 million people and the greater Salt Lake City–Provo–Orem CSA has 2.5 million people. Salt Lake’s reputation as a sleepy secondary market is changing with the recent announcement of new data center plans. Cirrus Data Services announced the View 78 Campus in Midvale. The campus can expand up to 160 MW and 1.1 million square feet. There is not a big Internet Exchange in SLC. The SLIX (Salt Lake City Internet Exchange) and DataBank’s SLX1 facility on 179 Social Hall Ave are the best options if many carrier options are required. The next closest Interconnection market is Denver, followed by Silicon Valley and Los Angeles. 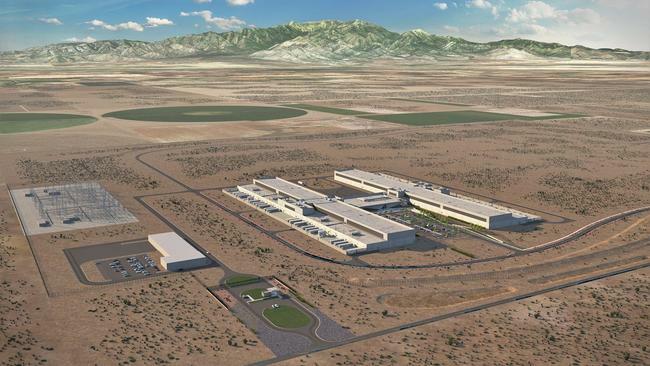 The NSA Utah Data Center has generated a few conspiracy theories. We don't buy into the conspiracy theories, but we do know the collection of buildings are 1 million sqft feet, but the data center portion is approximately 100,000sqft. 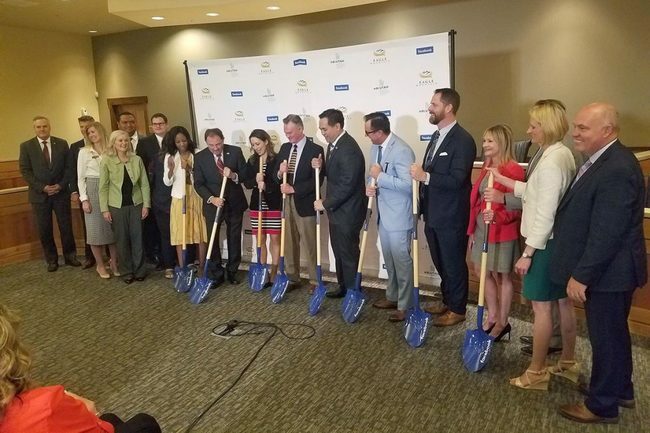 Government officials and representatives of Facebook pose with shovels following the announcement that Facebook will build a data center in Eagle Mountain, Utah. May 2018.